The Old Red Brick Company has the expertise, equipment and personal to undertake large-scale commercial demolition projects. The combination of experience and the right equipment are the two most important factors when attempting to demolish a large commercial building or undertaken demolition across a large commercial site. Demolition is not always a straightforward process. Factors such as how the building was constructed, what the building was constructed from, the age of the structure, the location of services, the access to the site and the location of neighbouring structures all have relevance. Other elements also come into play. This includes how strong the concrete will be, how large the footings will be, the most efficient way to dig out piers and where there is likely to be asbestos that was not recorded on the register. All of these aspects contribute to the determination of how readily, efficiently and effectively a structure can be safely demolished and removed. When undertaking the demolition of a larger building there is no more crucial person than the plant operator as starting demolition at the wrong section of the building or pulling a building in the wrong area can have drastic consequences. It is the plant operator who controls how a building is demolished. There is no substitute for the experience of the plant operator. At the Old Red Brick Company we believe that one of our greatest assets are our plant operators. Between our 5 plant operators we have over 100 years in demolition experience; ranging from multi-level buildings in the CBD, refineries, civil works, and almost every type of demolition work imaginable. With experience brings skill. We also believe that we have the most skilled plant operators in the state. This is what enables us to undertake challenging projects with confidence. The other crucial factor that determines the course of a demolition project is having the right equipment. Our company has grown from the days of being a humble brick yard to becoming one of the premier demolition companies in the state. We have a fleet of modern plant and equipment which grants us the resources to complete larger scale projects in reasonable timeframes. It is this ability that has led us to partner with most of South Australia’s leading building companies and government bodies over the course of the last 20 years. One of our more recent project was the demolition of Packages 3 and 4 for the Darlington upgrade on behalf of the Department of Planning, Transport and Infrastructure. 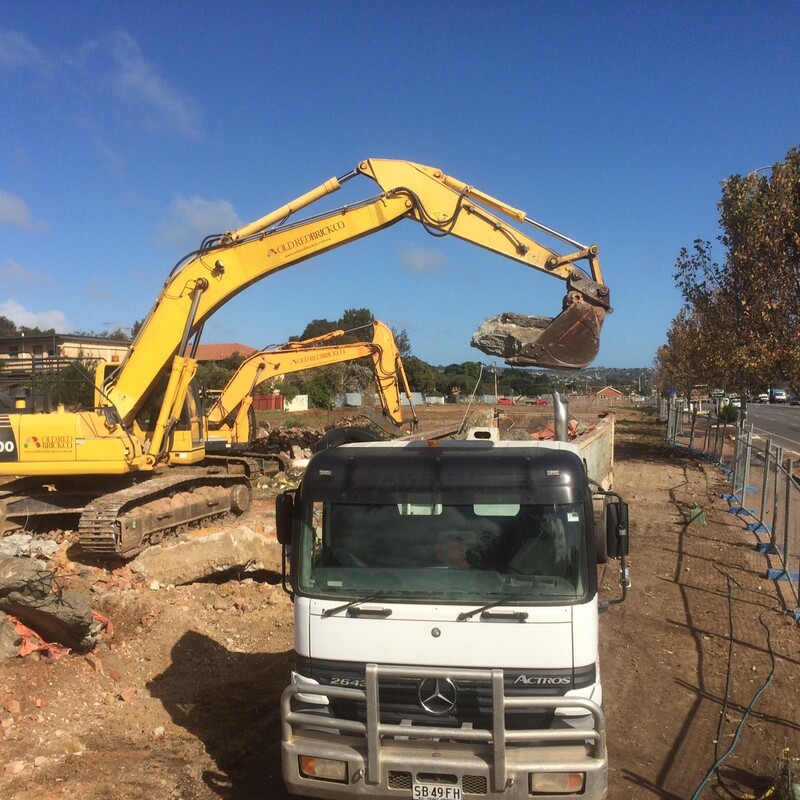 This project entailed the demolition of 37 houses to facilitate the construction of the linkage between the Southern Expressway and South Road at Darlington. It involved working in a tight traffic corridor, in very tight timeframes under close public scrutiny. We also recently completed the South Australian Housing Trust demolition at Ash Avenue, Clovelly Park. This project entailed demolishing and clearing 26 houses adjacent to the former Mitsubishi Site at Tonsley. 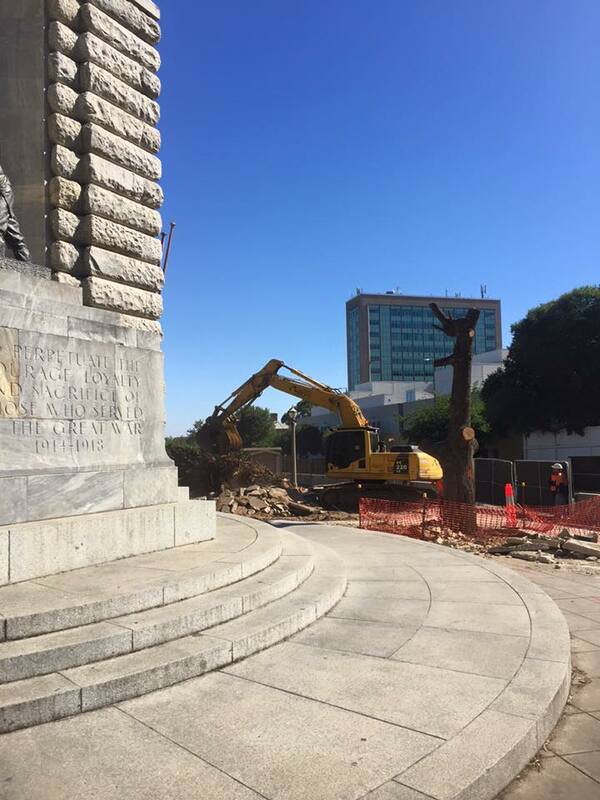 Some of our other recent substantial commercial demolition projects have been the demolition works for the new Anzac Memorial Walk at Kintore Avenue and North Terrace, the August Towers demolition at the corner of South Terrace and Hutt Street in Adelaide, and the demolition works of Scampi’s Restaurant adjacent to the Glenelg Townhall.